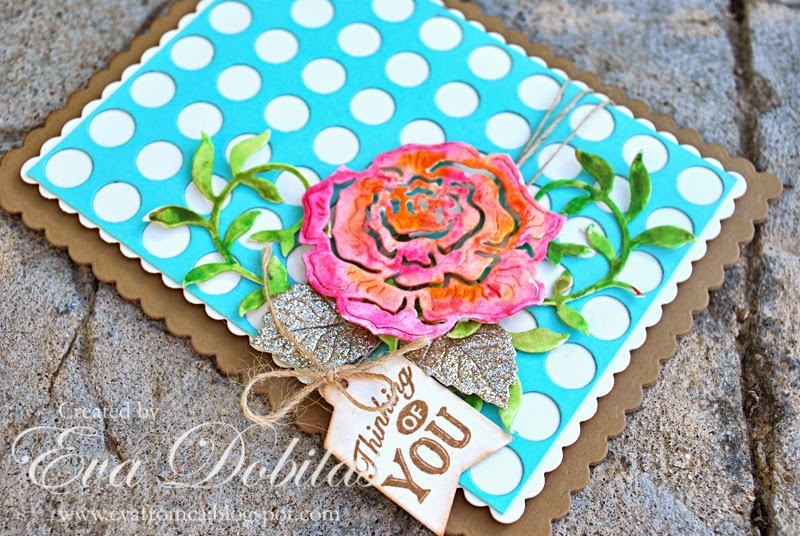 Hi there, I have a Thinking of You card to share with you today. 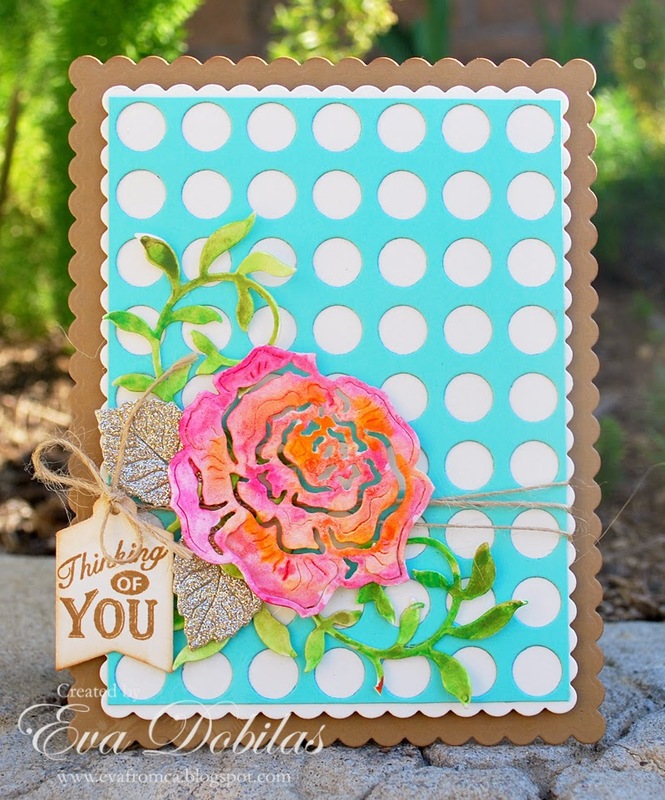 I decided to create a card base with the A2 Frames Rectangular Scalloped dies using craft card stock. I die cut a Lattice Circle Frame out of turquoise color card stock and cut it down a little bit to fit it onto a smaller sized A2 Frames Rectangular Scalloped which I die cut out of white card stock. Than I die cut my rose and leaves twice using Rose and Leaves out of water color card stock and a gold glitter card stock as well. I also die cut a Leafy Flourish using water color card stock again and painted it in along with my rose using water colors. I tied a jute around my panel, added the flourish, the rose and the gold glittered leaves. Finally I die cut a tag using the Tags 4 out of cream card stock and stamped my sentiment which is by JustRite Papercrafts from the Baking Antique Tags One onto it and tied it with the jute.